Looks like Gigeresque goodness to me! The trailers give the impression that Noomi Rapace's character might have a chest burster in her and that she realizes it, though it might be intentionally misleading. The other vibe I get is that every major character comes to an unhappy end, though at least one will die saving (or thinking they have saved) Earth. 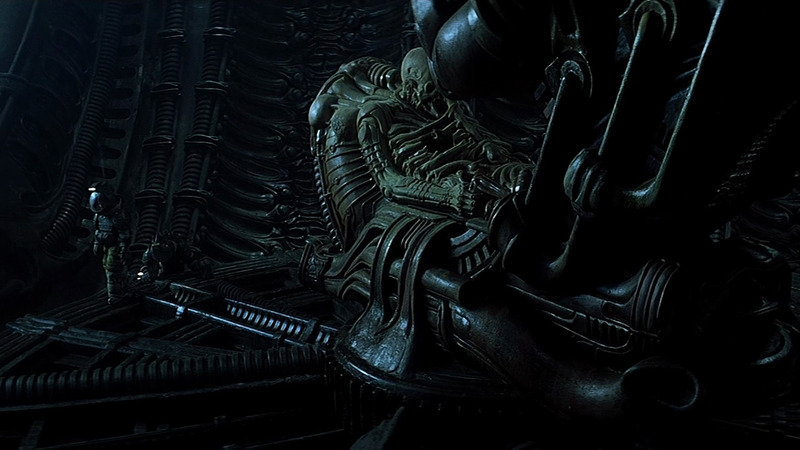 Ahab: Sure does -- I understand Giger's back and worked on some designs for the film. 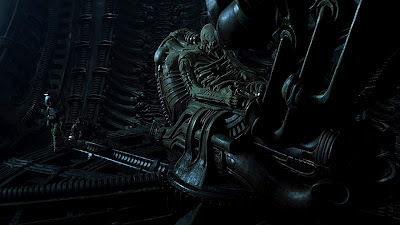 TK: I hope there's at least one survivor, in line with Alien tradition. As for Ms. Rapace, I have a feeling she's got even worse things in store, assuming Sir Ridley wants to go beyond what we've already seen. I shall definitely watch this one!